I wish I had taken more photos during this time of year all the years I lived in Florida/Disney World but to be honest I only got to go to the parks once the whole time I lived there and I didn't even get to walk around or really do anything so yeah, that sucked. But I did manage to snap this photo of hearts on the castle, this was back in 2013 by the way. 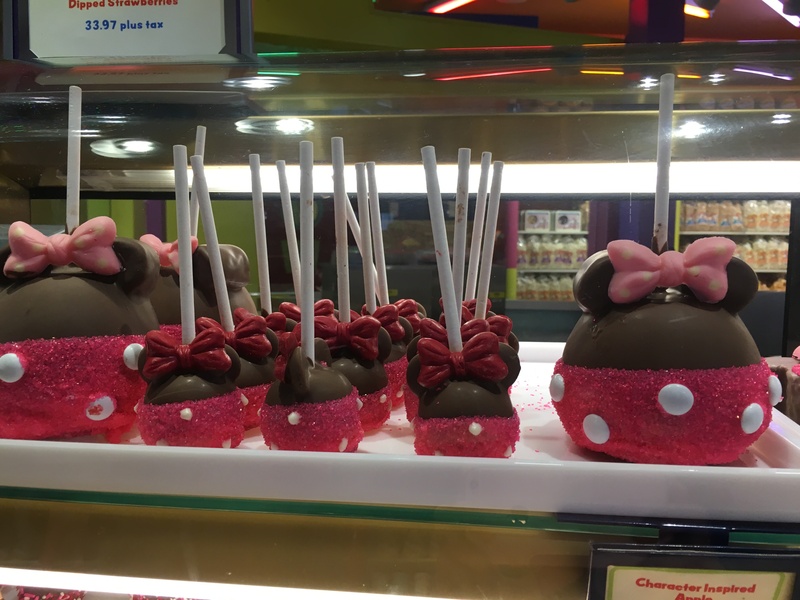 There was also a time when Candy Cauldron did customized apples, white chocolate with sprinkles were my fav. Last time I went there last April they said they didn't do custom apples anymore. It was a sad sad day. I don't know what it is about seasonal sprinkles but they seriously make the treat that much more festive and enjoyable! 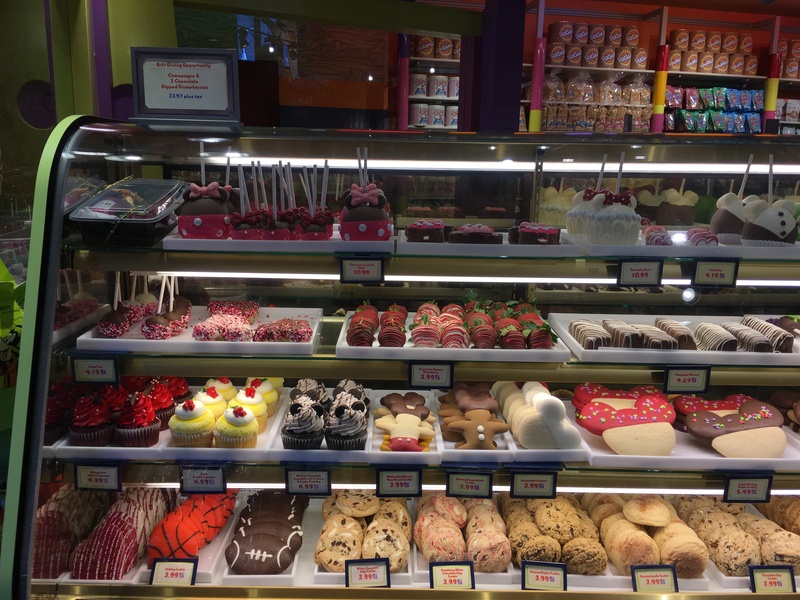 Overall Valentine's Day, Easter, Halloween and Fourth of July treats at Disney are probably my favorite time to see Goofy's Candy Co at Disney Springs just bursting with colors and different treats of all kinds. 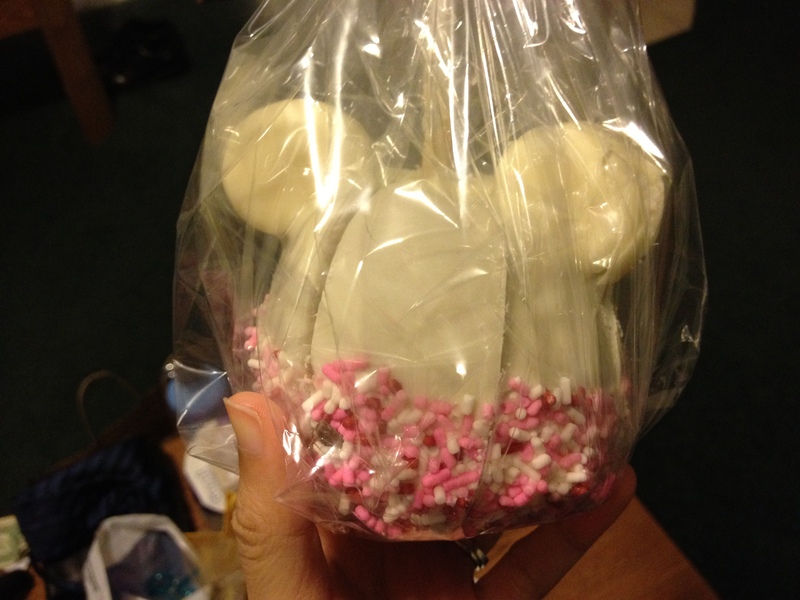 I do love how around Valentine's Day the Minnie apples and cake pop's come out! The ones to the right were literally a pain to get a photo of because of the damn glare. But you can see the cutie cake pops next to the apples and I think those are better, personally. 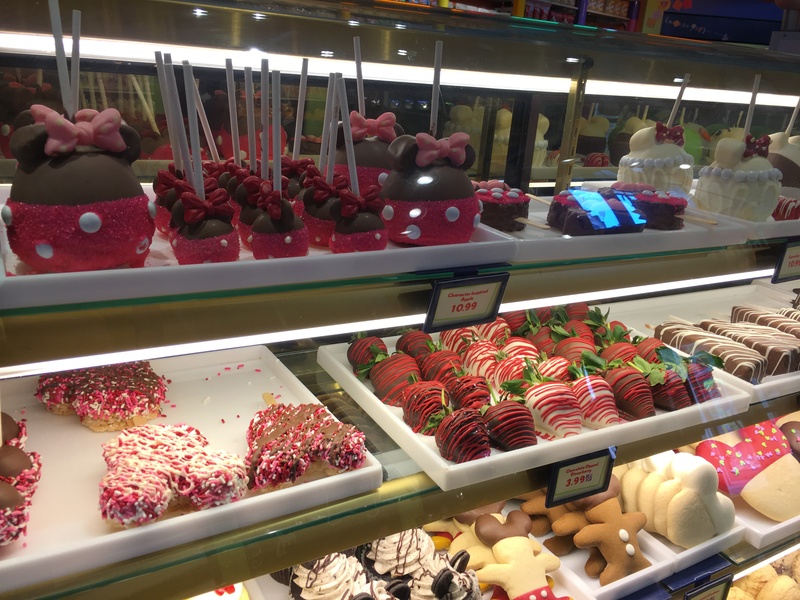 I wish I could remember if we had Valentine's Day themed treats when I worked at Candy Cauldron in 2011, but I honestly don't remember at all. Working at a Disney candy shop though is a special kind of magic and if I'm being honest, my favorite kind of magic besides working in The Tree of Life and in Fantasyland. I'm also slightly obsessed with Minnie and kind of always have been --- at least since I first worked at Disney in 2011. I love that she wears an oversized bow. I don't know what it is about that but I just love it! And plus she's always decked out in pink and the world girly describes her. Sadly I didn't get one of these apples the day I snapped this photo and I didn't get to go back as often as I'd like to so I never got to grab one. I was a little hesitant to be honest, as much as I loved my apple sliced I didn't want to mess up the prettyness of this apple and it's not like I could be like, "hey can I take a couple hundred photos of this outside THEN can you slice it?!" okay they WOULD slice it if I had asked and if I had done that, I know I did it for other people. The request really is not that crazy. Huh, I don't know why I didn't get one! But next time I'm in the parks around this time of year I'll MAKE SURE to grab one! 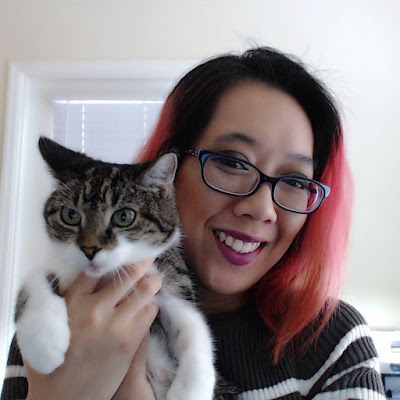 And just in case you needed proof --- here's a photo of when I use to prop my hair up so I could pin a bow to it like Minnie does, I don't know how I got my bangs to part so nicely that day or how the heck the Pixie Dust looks like highlights but I freakin love this photo! I'm also one of those people who stop by Sir Mickey's at Magic Kingdom or the Bibbity Boppity in World of Disney to get covered in Pixie Dust. It's my happiness, what can I say? 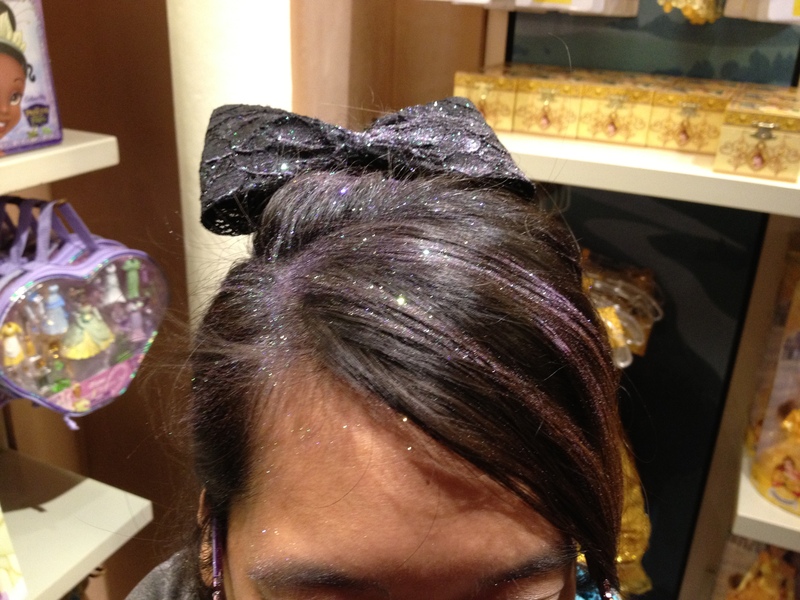 My first Disney College Program apartment literally had glitter everywhere. It was awesome. 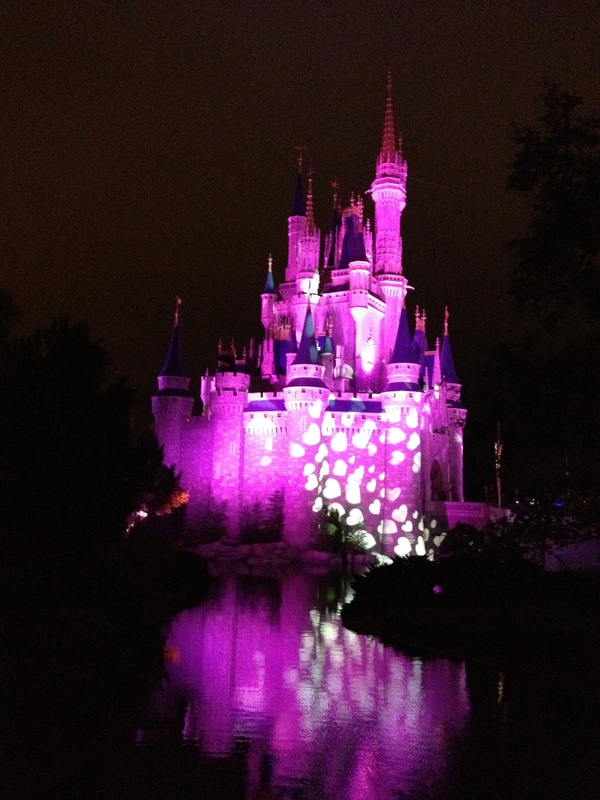 Have you been to the Disney parks around this time of year? What's your favorite thing to do or your favorite treat?